Jordan Peele's $5 million horror film, Get Out, easily took the top spot at the box office this weekend ($30.5 million). 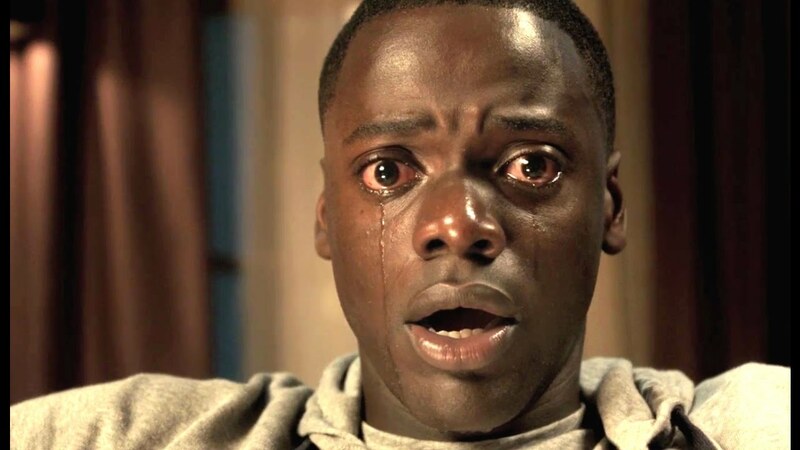 Get Out is another Blumhouse production, whose other horror flick, Split, has already made $130.8 million domestically. As for the other new films... well, they didn't even crack the top 10: Rock Dog ($3.7 million), Collide ($1.5 million). The other big news (and surprising), is that Resident Evil: The Final Chapter made $94.3 million in it's China debut. Yes, that movie made $94.3 million, so far. It wont even make half of that here, domestically. Could this mean this isn't The Final Chapter? Here comes Resident Evil: The Final, Final Chapter, and Resident Evil: The Final Chapter Prequel. A bunch of new movies hit theaters this weekend... trying to take LEGO Batman from the top spot. Hit Factor: Low budget Horror/Thriller getting positive early reviews (100% Tomatometer). Flop Factor: From Jordan Peele, yes of Key and Peele... however, his comedic style translates well to Horror. Hit Factor: Not much competition this weekend. Flop Factor: Marketing seems a bit low for this movie... like the studio has given up. Flop Factor: Seems like they didn't know where to dump this in the movie schedule... unfortunately, LEGO Batman is still running strong. 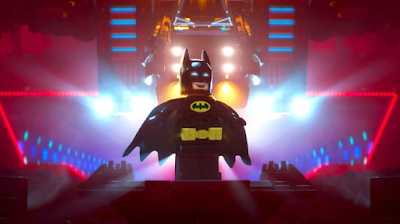 The LEGO Batman Movie easily remained on top the box office this weekend with $34.2 million and has almost hit the $100 million mark domestically. Fifty Shades Darker remained in second with $21 million (-55% from first weekend)... a more modest drop off compared to the original's 74% second weekend drop. Overseas, the movie is still doing surprisingly well, taking in $43.7 million, making it's foreign total $187.2 million. It's worldwide total stands at $276.9 million. How many more books are there? 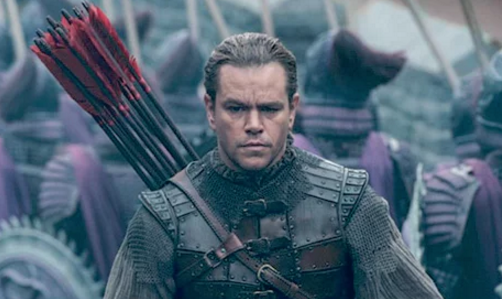 The first of the newcomers, The Great Wall, placed third, with $18.1 million. A bit short of expectations... or a bit short against it's $150 million budget. All is not lost, however, as The Great Wall has made $171 million in China alone and it's worldwide total, so far, is $262.7 million. Other Newcomers, Fist Fight ($12 million) and A Cure for Wellness ($4.2 million), came in 5th and 10th... that figure doesn't bode well for the later. A bunch of new movies hit theaters this weekend looking to dethrone The Lego Batman Movie, Fifty Shades Darker and John Wick 2. Flop Factor: Trailer seems like an over-abundance of VFX and not much else. Hit Factor: The story seems kinda interesting. Flop Factor: Trailers seems less than captivating for a big budget horror-ish flick... and getting low to mediocre reviews (38% Tomatometer) doesn't help. Flop Factor: Well, the title is the movie... so you know exactly what you're getting into. It was a crowded pre-Valentine's Day Weekend (or is this actually Valentine's Day weekend since it falls during the week?)... 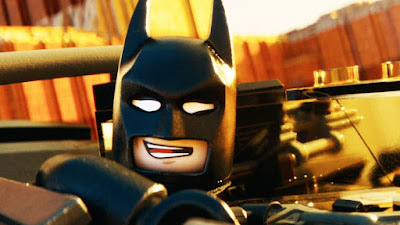 Nevertheless, The LEGO Batman Movie easily took the top spot with $55.6 million, a bit shy of what analysts were expecting, but still strong. By comparison, The Lego Movie had a $69.1 million opening weekend back in 2014. Though, that probably has a little wider market. Fifty Shades Darker came in second with $46.8 million. Which is also behind it's predecessor's (Fifty Shades of Grey) $85.2 million debut in 2015. Darker has already grossed $147 million worldwide. Now, the only film to do better than it's predecessor this weekend, was John Wick: Chapter Two, which grossed $30 million for a third place finish. Albeit, the first John Wick debuted to $14.4 million back in 2014. A few new movies hit theaters in what could be a very crowded February weekend. Hit Factor: Very positive reviews (96% Tomatometer)... could get that LEGO Movie audience. Flop Factor: The DC universe is in need of some good word of mouth... even though it's a LEGO movie. Hit Factor: John Wick has become a cult-ish hit on video... Also very positive early reviews (97% Tomatometer). Flop Factor: Probably the smaller of the 3 big films in wide release this weekend. Hit Factor: The first film, Fifty Shades of Grey made $571 million worldwide despite having terrible reviews. Flop Factor: The reviews are slow to come in (almost non-existent, yet), or the studio knows it won't be good so'll they'll blanket critics from posting them until the last minute. But, this movie may be critic proof. 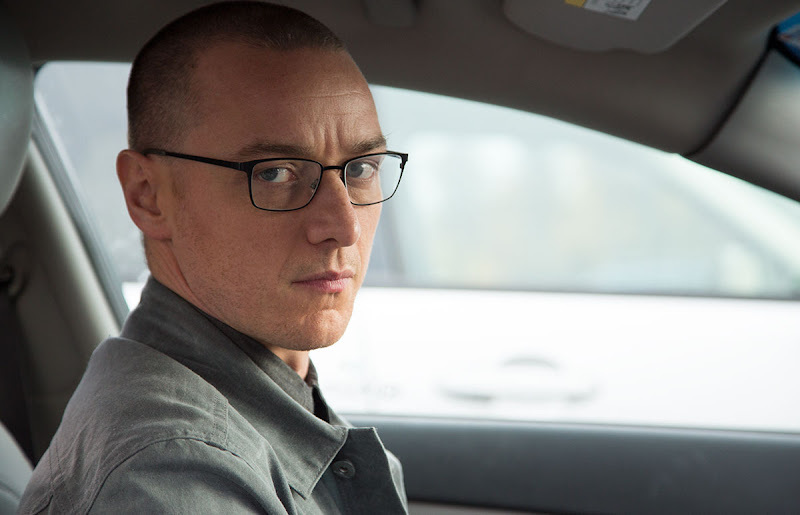 The M. Night Shyamalan thriller, Split, topped the box office for it's third weekend in a row ($14.6 million). It's domestic total now stands just a hair short of $100 million. With a reported $9 million budget, Split, is definitely proving to be a huge success. 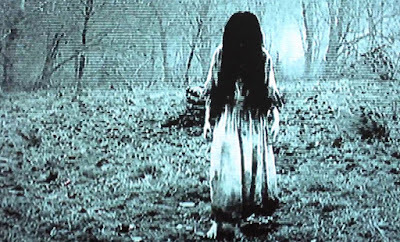 Rings, the horror newcomer, had to settle for a second place finish($13 million). It is no doubt being hurt by Split's success and also horror-ificly bad reviews (5% tomatometer)... That's even bad for a horror flick. A couple new movies open this first weekend of February. With Split holding on strong, we could possibly see the horror/thriller flicks take the top two spots. Hit Factor: Low-budget franchise sequel. Flop Factor: Lost count of how many Ring movies there have been. Hit Factor: Low budget teen space romance film. Flop Factor: Marketing seems a bit non existent.